This week Mantic is all about Battlezones! The Industrial scenery funded by the Deadzone: Infestation Kickstarter will be out at the end of the month to be purchased through retail. Each set comes with pipes, computer consoles, circuit breakers, conveyor belts and more. Backers will have already been showing off what these pieces can be used for and it’s time for others to get involved! Each of these sets is fully compatible with Mantics existing Battlezones scenery sets, from Deadzone Urban to Mars Attacks 20th Century Brick, meaning that you can combine sets in whatever way you please. They also include some extra oft-requested components, such as quarter (1.5″ square) tiles and alternate connectors. The Industrial sets are released on the 27th June and I would imagine will prove quite popular. 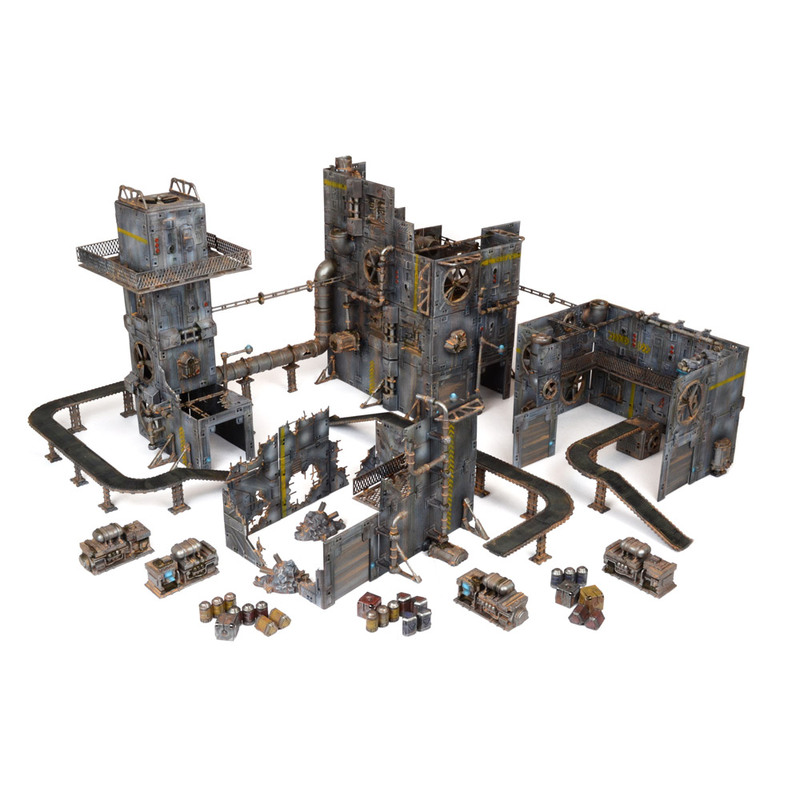 This set contains 24 Industrial terrain packs, 4 Ruins sprues, 8 Industrial accessory packs, 4 Urban accessory sprues and 5 connector packs. This set contains 12 Industrial terrain packs, 4 Industrial accessory packs, 2 Urban Accessories sprues and 2 connector packs. This set contains 6 Industrial terrain packs, 2 Industrial accessory packs and a connector pack. Bolt Action 2, What are the changes?